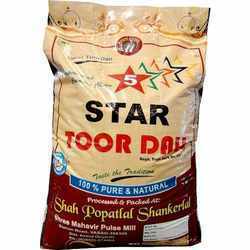 Leading Manufacturer of atta packing bag, bopp spices packing bag, flour packing bag and grain packing bags from Ahmedabad. We are the leading manufacturers and exporter of Atta Packing Bag and our product is made of good quality. We also customize these bags as per the specification of our customers. We offer these bags in different styles, patterns and sizes to suit the requirement of our customers. 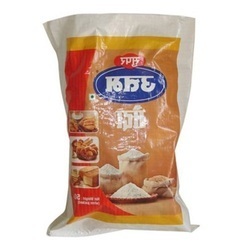 We are the leading manufacturers and exporter of BOPP Spices Packing Bag and our product is made of good quality. 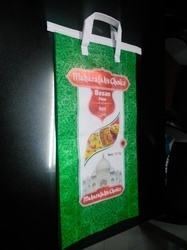 These bags are used for packaging of all types of spices in powdered form. It is manufactured using high-quality raw material and highly reliable. We ensure the packaging is perfect so that the original quality and characteristics of these spices such as aroma, taste or color are not lost. These are ideal for bulk packaging of different spices. 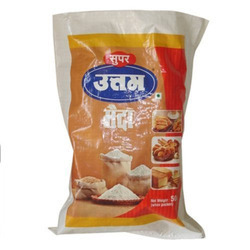 We are the leading manufacturers and exporter of Flour Packing Bag and our product is made of good quality. It is offered to our customers at very reasonable price and is highly appreciated in the domestic and international market. These bags are of flawless quality, very strong, reliable and durable. We are the leading manufacturers and exporter of Grain Packing Bags and our product is made of good quality. Our assortment in regards to colors, printing company’s name, logo and capacity such as quantity of packaged material. These bags are well recognized for their effective performance, water resistance and marinating the quality of packed food grain for a very long time. We check all our products on various industrial quality parameters to offer best quality food-grain packing bags.